How Far is Yugal Shriya? Yugal Shriya has been meticulously planned and designed to blend with the elements of nature, making life here a blissfully harmonious experience. 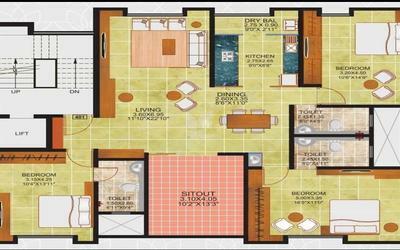 This premium project comprises of lavish 3 BHK with terrace abodes, each occupying an entire floor. These spacious and luxurious homes have been carefully designed for ample sunlight and ventilation, essential for healthy and happy living. The cleverly crafted living spaces are embellished with premium fittings and specifications that will appeal to the most discerning of home seekers. The project is the perfect investment for those looking for a luxurious apartment in Pune, without having to compromise on the location. 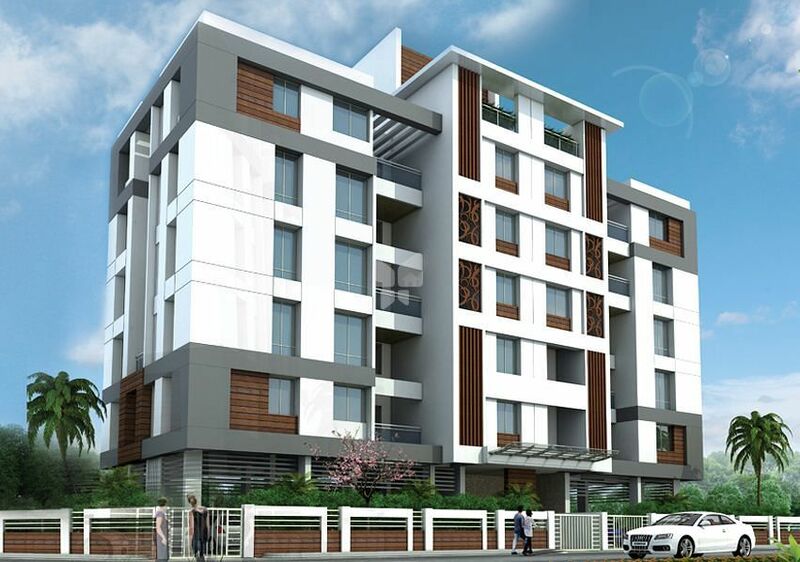 Yugal Shriya represents the quintessential lifestyle at the heart of the city - Model Colony, Shivaji Nagar. RCC structure of superior quality and designed for earthquake resistance. 6" fly ash brick walls externally and 4" fly ash brick walls internally. Sponge finish, sand Plaster to external walls. POP/Gypsum finish to internal walls. External: Apex or equivalent paint. Large sized printed vitrified tiles for entire flat with skirting. Anti-skid tiles in toilets and terrace. 3 Track UPVC sliding windows with mosquito net. MS safety grills to all the room windows. Decorative main door along with night latch and exclusive accessories. Prelaminated doors for bedrooms & Toilets. UPVC sliding doors for terrace & sit outs. Two side kitchen platform (Main Plat form + service Plat form). Power & Plumbing points for Water purifier. Glazed dado tiles up-to lintel level. Water inlet and outlet points for washing machine. Power points for washing machine. Glazed dado tiles up-to 3'. CP fitting of Jaguar or equivalent make in all the toilets. Jaguar or equivalents make sanitary ware & accessories. Hot and Cold mixer diverter units in all toilets. Counter tap wash basins in all & common wash too. ELCD & MCB in each flat. AC points in all bedrooms. T.V. points in living & all Bedrooms. Cabling for Broadband Internet to each flat.